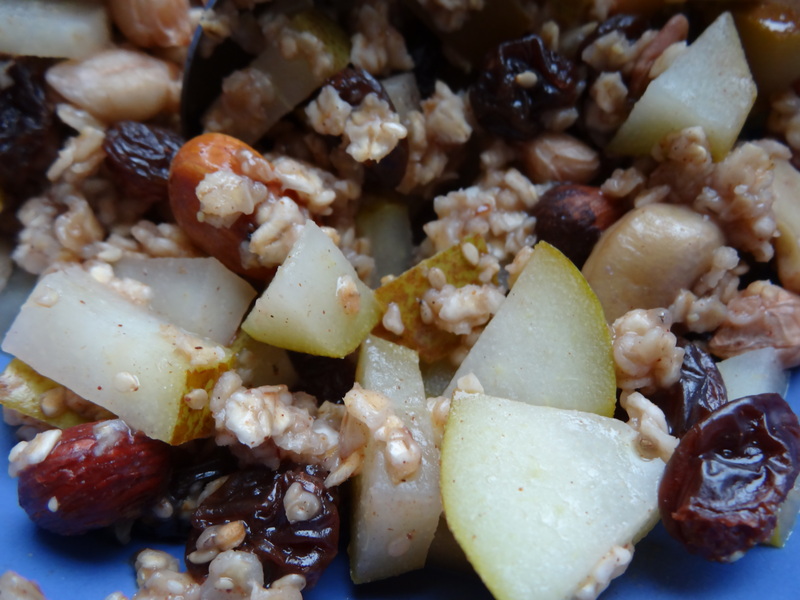 Nutty Pear and Honey Porridge – Yours Julie – Mostly travel, also food. Cube the pears and put them in a pot together with the honey and some water. 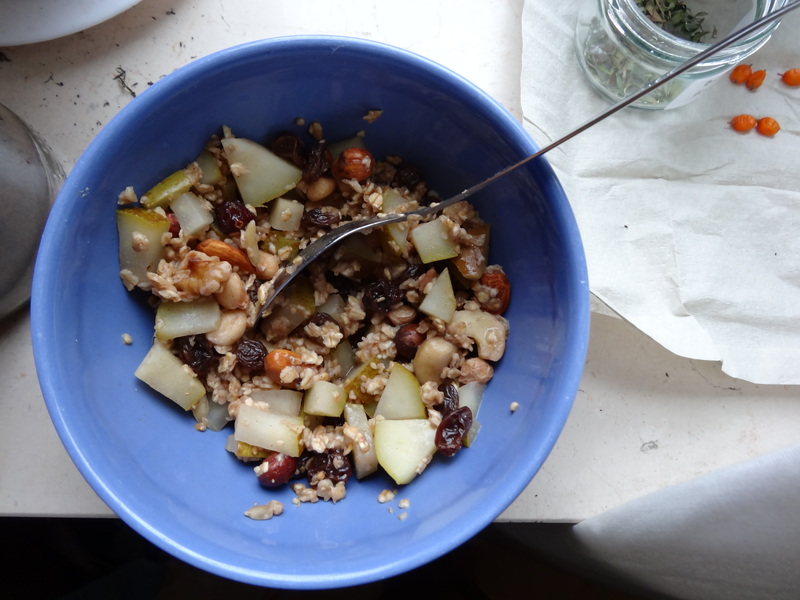 Bring everything to a boil, stir, then add the cinnamon, oats, nuts and dried fruits. Stir again, turn off the heat and let the oats soften. Add more water (or whatever milk you may drink) as needed. I usually make a version of this for breakfast, because it’s fast, cheap, and healthy and you can make enough for the entire week at once. You can also throw in whatever you like, seeds, fruits, nuts, flakes… I do recommend hazelnuts, though. I’ve always had a hard time eating a regular breakfast in the mornings, so this is a nice compromise. Enjoy! Who could resist the name, “Nutty Pear and Honey Porridge?” It sounds and looks delicious. I think I just might have to make this! Thanks for the recipe!